Cynthia has practiced as a mediator and arbitrator for over 19+ years (full-time since 2008; part-time from 1990-2000.) She has mediated over a thousand cases with a consistent success rate well above 90%, arbitrated scores of cases as a AAA arbitrator, and investigated, or supervised the investigation of, hundreds of workplace claims. 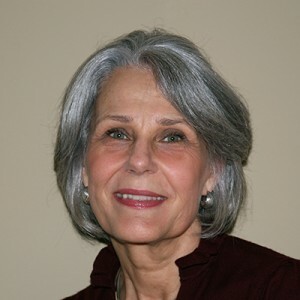 Cynthia’s experience includes matters brought as individual, class, collective and multiple-party actions covering the full range of employment-related subjects as well as many compliance, intellectual property and business disputes. Cynthia has handled the full range of employment matters, including those involving issues such as wage and hour, discrimination (all protected classes, including medical leaves, disability accommodation, sexual and other forms of harassment), retaliation, wrongful termination, whistleblowing, ethics, compliance, privacy, defamation, false imprisonment, assault, battery, fraud, unions, mergers and acquisitions, reductions-in-force, and equity/benefit programs. law graduate and a managing law review editor while at Boalt Hall (Berkeley Law 1980). worldwide Immigration Department (one year). Cynthia’s global sensitivity, cultural competence and collaborative approach to cross-border and domestic matters stem from her many years of international experience. living with a Greek family as an American Field Service exchange student. negotiated with foreign government officials in Asia and the Middle East. As a full-time neutral, Cynthia approaches each mediation and arbitration engagement with an open mind. She prides herself on listening well, and being direct but respectful with parties, attorneys and witnesses.